Ranch – Equine Partners, Inc.
Equine Partners, Inc. (EPI) is located in beautiful Penn Valley, California. 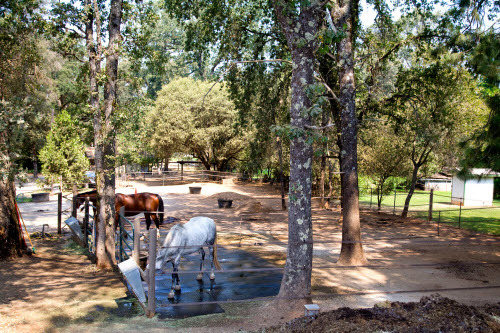 Our spacious turnouts provide horses with plenty of recreation and exercise, with trees, stumps, hills, shelters, and a seasonal creek. Both of our arenas are well-lit for evening sessions. One has a Cover-All to keep you dry in the winter and shaded in the heat of summer, and is fitted with a sound system. 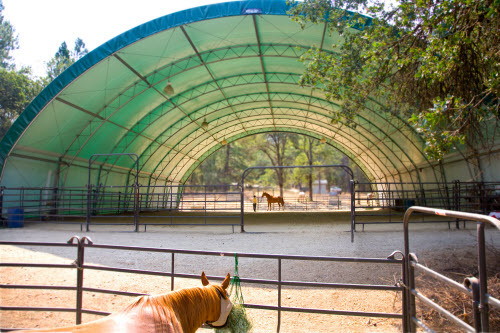 The panel-free round corral offers a place for you and your horse to focus on each other in an open yet private space. 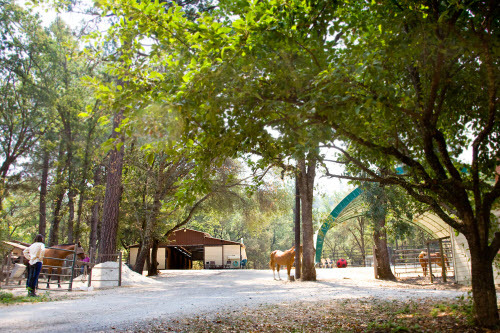 Horsemanship students soon find that the entire property is a playground and school for both horses and humans, with a combination of natural and manufactured obstacles and paths. 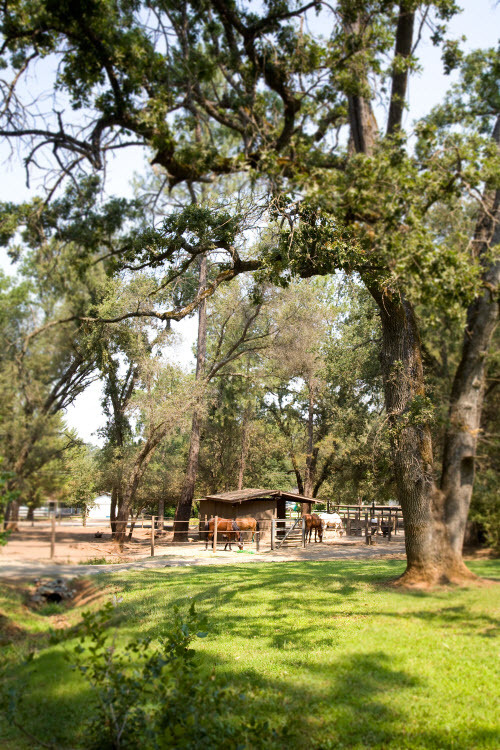 In the spring, the horses have access to an additional turnout for grazing, galloping, and relaxing. 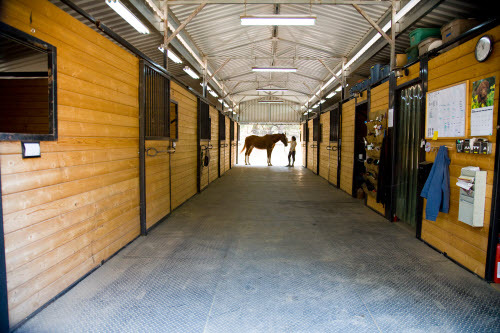 For details about the care and attention horses receive here each day, see A Day in the Life: Why Horses Thrive at EPI. 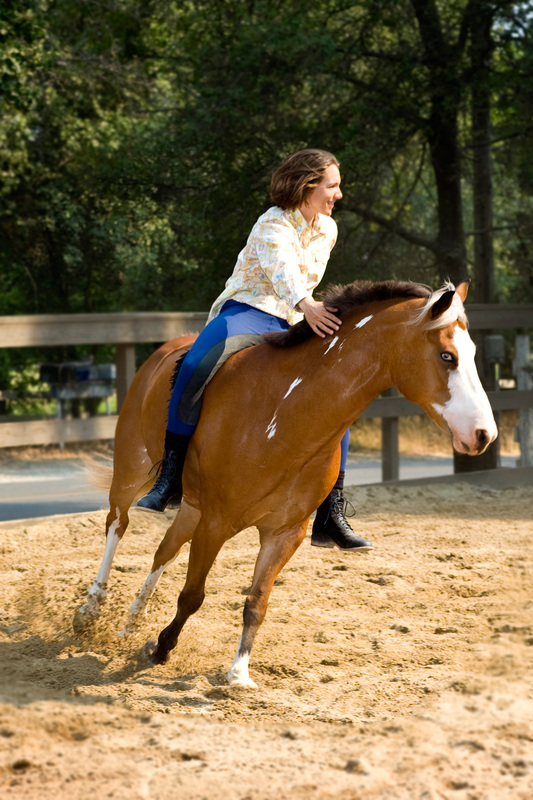 For more information, call (530) 559-1602 or email equinepartnersinc@gmail.com. hi erin living with mom in gv now. how are you? do you still have tisto?